Another cool arcade game developed by Random Salad Games for Windows 8 and 8.1 called Bubble Pop Star. Bubble Pop Star is based on the simple game play where you have to combine the similar color bubbles and pop them to increase your score and to achieve more and more stars in the game. 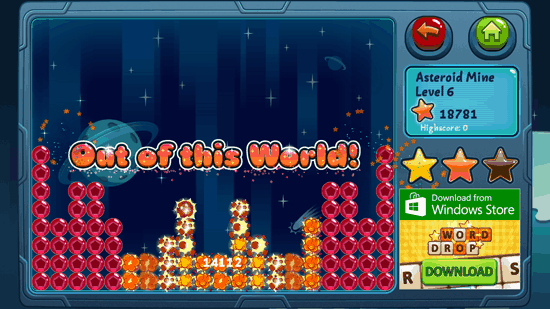 There are two game modes in the Bubble Pop Star, level mode and classic mode. The level mode has various stages and the classic mode is never ending game play. The classic game mode has three difficulty levels namely easy, normal and hard. In the game there are 5 stages. 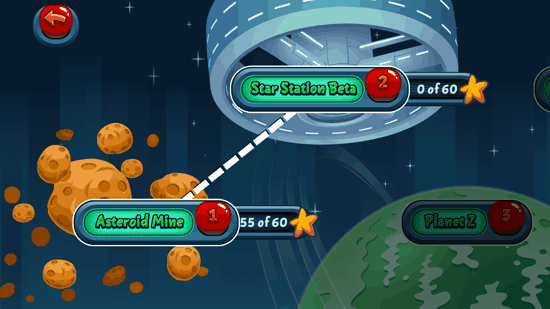 The game starts with the first stage Asteroid Mine consisting of collecting 62 stars in total. Unless you finish the first stage you will not be able to move to the other stages. For each stage you have to collect the required number of stars that are shown near the name of the stage. Even if you are unable to collect the required number of stars then also the game will move on to the different stage. The settings for the game can be accessed using the small gear icon on the bottom of the homepage. 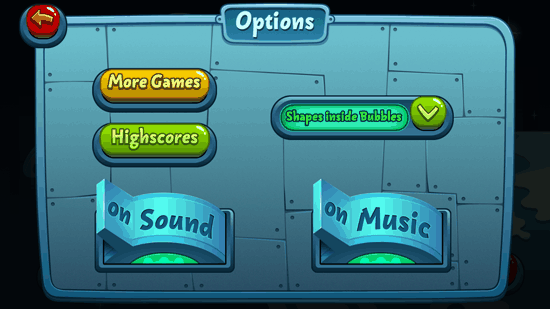 The settings options include More Games, High scores, Shapes inside Bubbles, Sound and Music. You can switch on or switch off the sound or music from here. You can leave the game whenever you want to and resume it later when you want to play it back by clicking on the Continue button, if you want to play a new game then you can click on Play levels or Play Classic. You can also check out other free arcade game apps for Windows 8 like aviator arcade and geometry dash. The graphics of the game are simply beautiful. It has beautiful user interface and has a nicely laid out options. The colors of the game attract the player even more when you are playing the game.